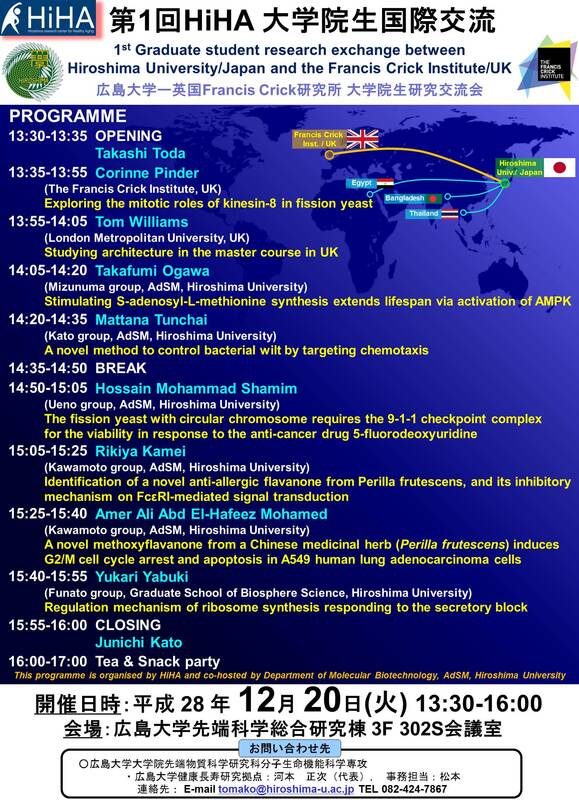 1st Graduate student research exchange between Hiroshima University/Japan and the Francis Crick Institute/UK was held as follows. Topics include, in addition to their own research projects, self-introduction and the system of graduate school in individual countries. 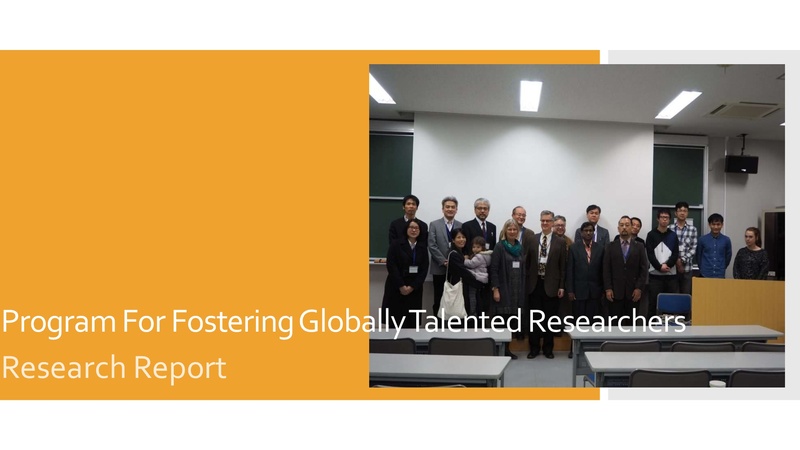 8 graduate students from Japan, UK, Bangladesh and Egypt will give talks. 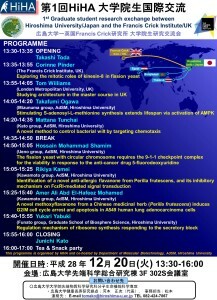 Two of them visit Hiroshima University from the Francis Crick Institute and London Metropolitan University.